by Tracker Software Products Ltd.
PDF-Tools lets you create new PDF files from the output of any Windows app. It's a flexible & power wizard driven application for batch creating, manipulating, and modifying PDF files. Excellent for working with large PDFs or a number of PDFs at once. Create and Edit fillable PDF Forms; Dynamic Stamps; and Interactive Adobe AcroForms. View Image and MS Office files natively and convert to PDF automatically. This is THE best PDF application, period. Best of all it is NOT adobe. You can edit PDF files and the stamps are incredible especially if you create your own stamps such as signatures etc. 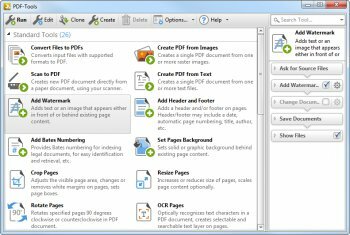 PDF tools are great, but if you want a little cheaper option go for PDF Editor PLUS if you don't care about creating pdf files from a print dialogue. I often work with pdf-files and can say that all programm PDF-XChange are the best for me. PDF-Tools requires no additional 'plug-ins' or applications such as Adobe Acrobat or Distiller. 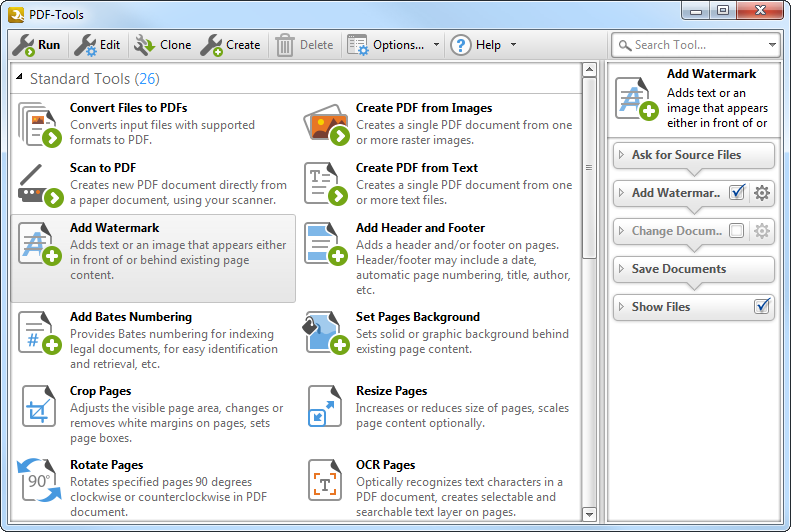 Also now includes the new PDF-XChange Viewer PRO with a visual means to markup and modify PDF files. PDF-Tools you can get as part PDF-XChange Pro. Surely the best PDF creator im my opinion. I was disappointed till this. It's not expensive compared to others. I've seen worse for much higher prices. The screenshot is probably a very old one. Should be updated. Bottom Line: This is THE best PDF application, period. Best of all it is NOT adobe. You can edit PDF files and the stamps are incredible especially if you create your own stamps such as signatures etc.